These two CDs can be seen as companion pieces, developed in parallel and using many of the same musicians. 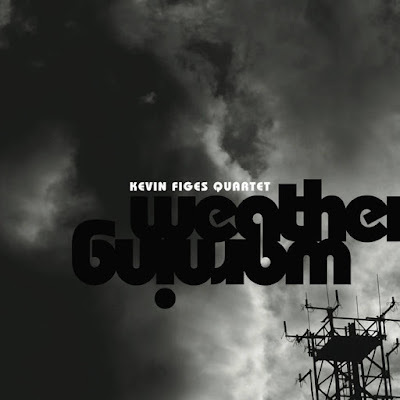 Inspired by the work of Norma Winstone with Kenny Wheeler, Figes makes extensive use of wordless female vocals on both albums – but he goes further in always employing two voices. Emily Wright and Cathy Jones are both graduates of the Royal Welsh College of Music and Drama, and have clearly worked hard to both learn their ways around Figes’ twisting melodies as well as producing improvised passages together. The quartet album Weather Warning shows the great range of Figes’ work, from the opening title track with its jumpy Soft Machine-ish groove, fine synth and Rhodes work from keyboardist Jim Blomfield and the guest trumpet of Nick Malcolm leaping in to add extra verve before a typical convoluted trumpet/sax line raised the tension. The extraordinary Bird Song is based on a field recording of twittering birds made by Figes in the Devonshire countryside, written down and scored for voices, alto and the tenor sax of Nick Dover. The effect when the twittering comes together into another complex written line is remarkable and bewitching. 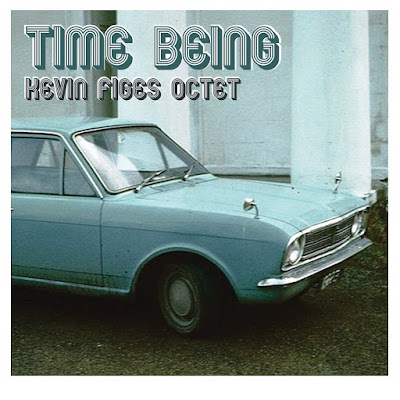 Although this album is credited to the Kevin Figes Quartet, the core group is often augmented, making this a rich and varied listen. For those seeking a classic foursome, Figes produces some flowing flute on the gently rolling For Cathy, and then tears up his alto on the following Empathy (also featuring Nick Dover). 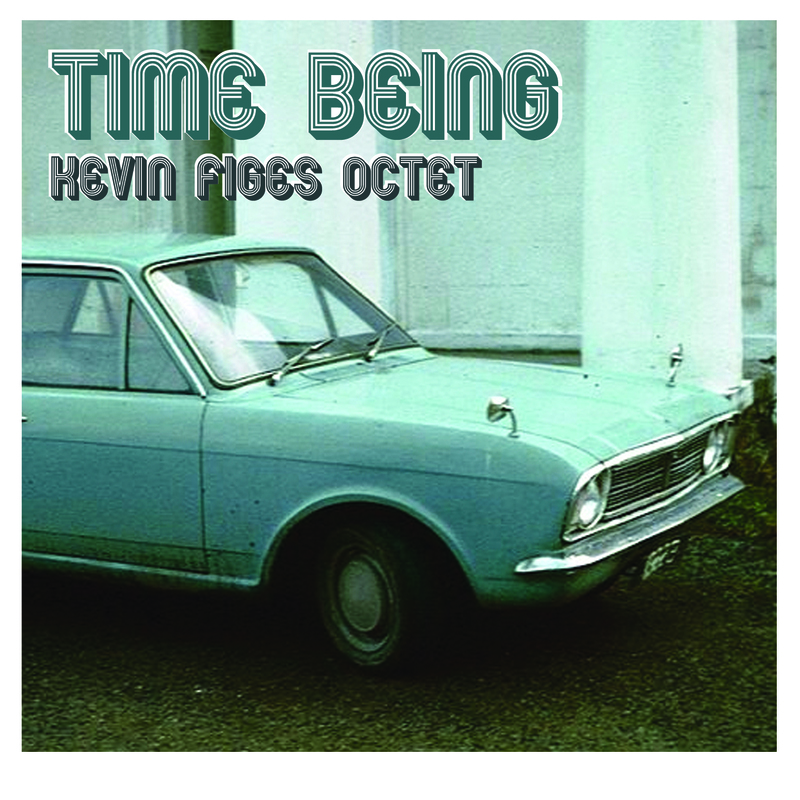 The Octet album Time Being follows similar lines, with an extended line-up. This is a very original concept of an octet, featuring not only the two vocalists (used again as horns rather than singers), but also two drummers (Mark Whitlam from the quartet and Lloyd Haines) and the two saxophones of Figes and Dover – the balance being made up by the chordal underpinnings of keyboardist Blomfield (a stalwart of the Bristol scene) and Will Harris’s bass. The extra drums give this set a real oomph, the propulsion being instantly audible yet never becoming overcluttered. Standout pieces include the title track (with voices and saxes jousting for position) and Petit Plats, where surging rhythms give way to funky drumming and spacy Rhodes. Both of these albums are released on the Pig Records label, which is becoming a go-to resource for interesting Bristol jazz. The label has a new website with recordings not only from Figes and Blomfield’s groups but also Balança, Four Sided Triangle and the Resonation Big Band.